Graced with unseasonaly mild temperatures and perfect wind (for the 150+ spectators who enjoyed the show!) 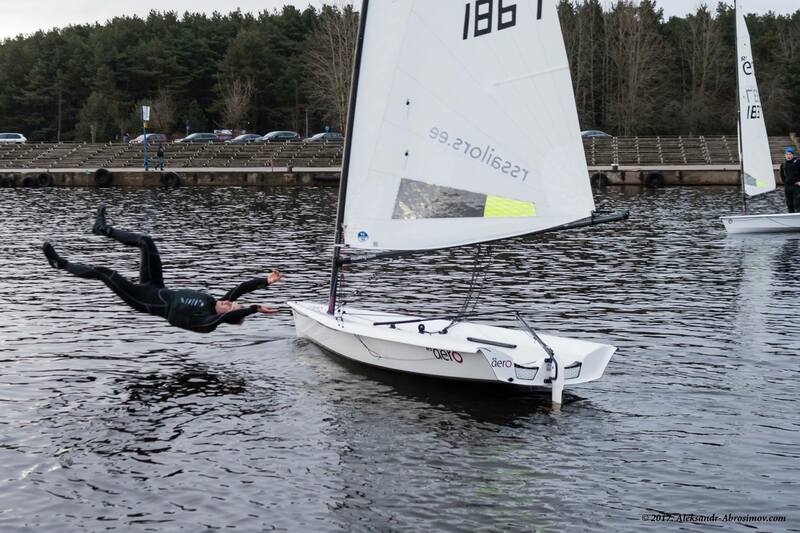 Estonia saw in the New Year in style with 16 top sailors at their invitational stadium RS Aero racing, an international concept event launched by Karl-Martin Rammo, Estonia's Laser Olympian. 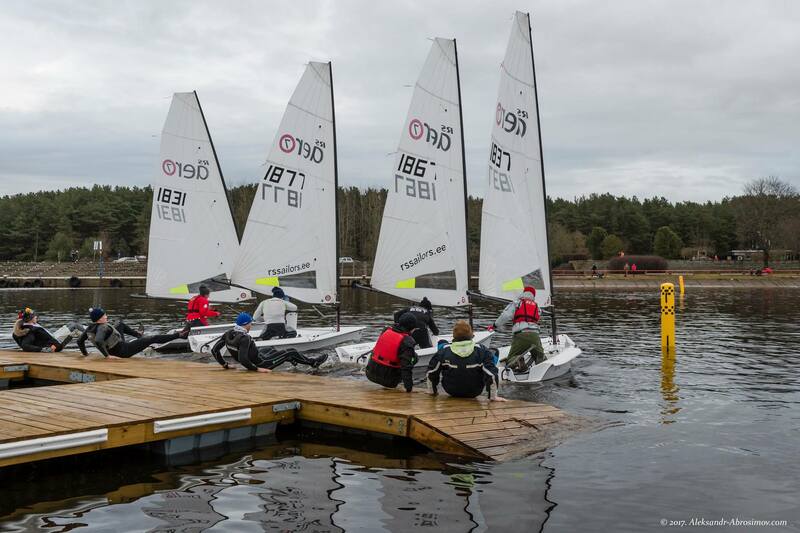 What do you do when you have 16 of Eurore's top small sail boat racers and there is no wind? Have fun anyway! A little Ae-ro-wing, some freestylin, New Years plunging and revel in the New Year festivities ashore! 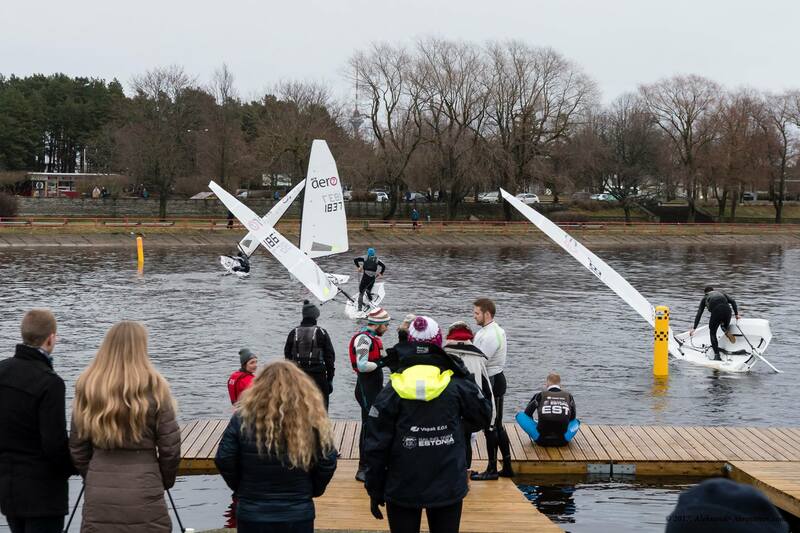 The competition was played to a team relay endurance race format, stadium racing in the width of the Pirita river. Four teams of four swapped in and out of their RS Aeros in turn to try to make the most laps within the time limit. 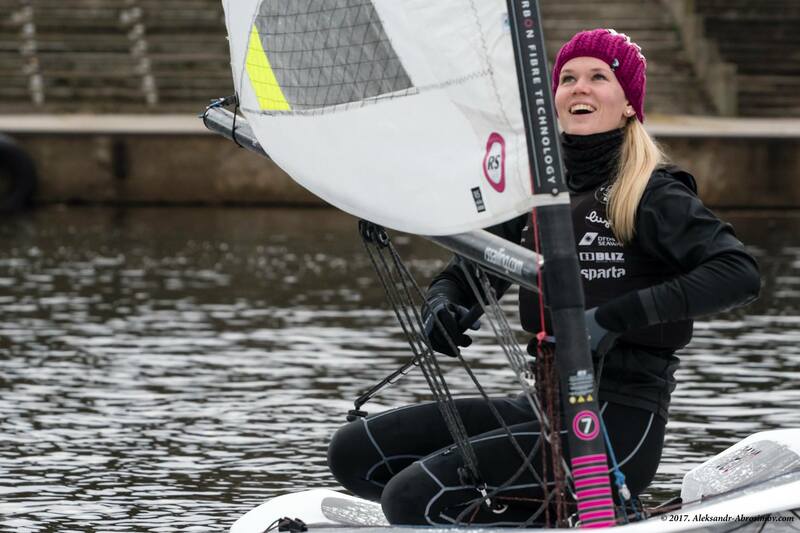 Several Olympians enjoyed the novel event with Anna Pohlaka (Laser Radial), Anna Maria Seppi (49erFX) and Karl-Martin Ramm (Laser) together with well known Estonian sailors Argo Vooremaa and Lauri Väinsalu. 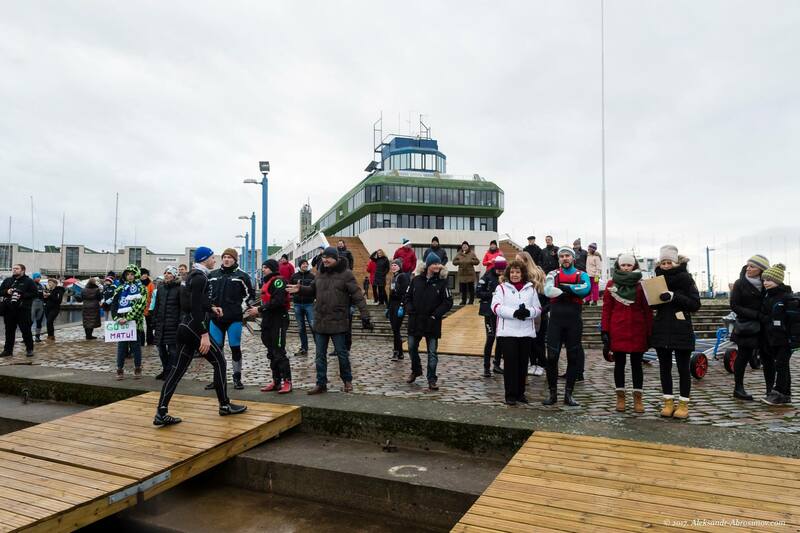 As Karl-Martin Rammo, later spoke in his closing speech: "You see that no sun or wind is needed for great sailing regatta! 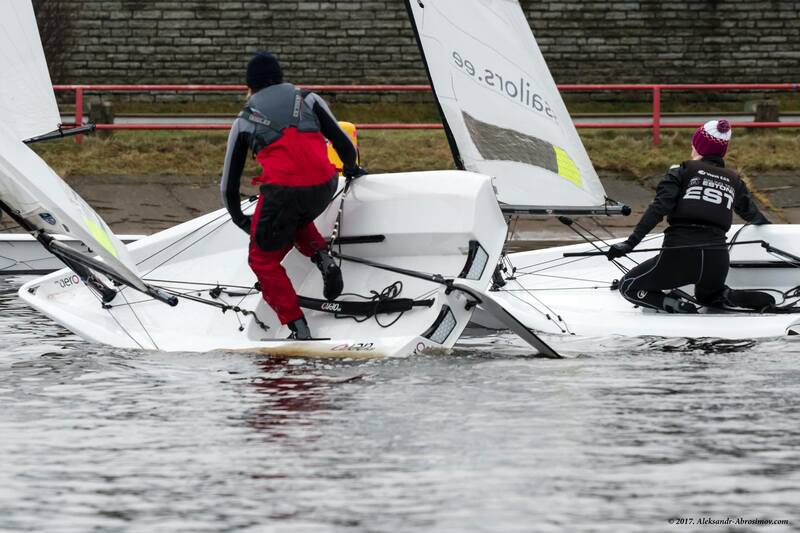 Young sailors learn from that!" You must always seize your opportunities - Two days later in Tallinn it was -10'C with snow and ice and the sea was starting to freeze! 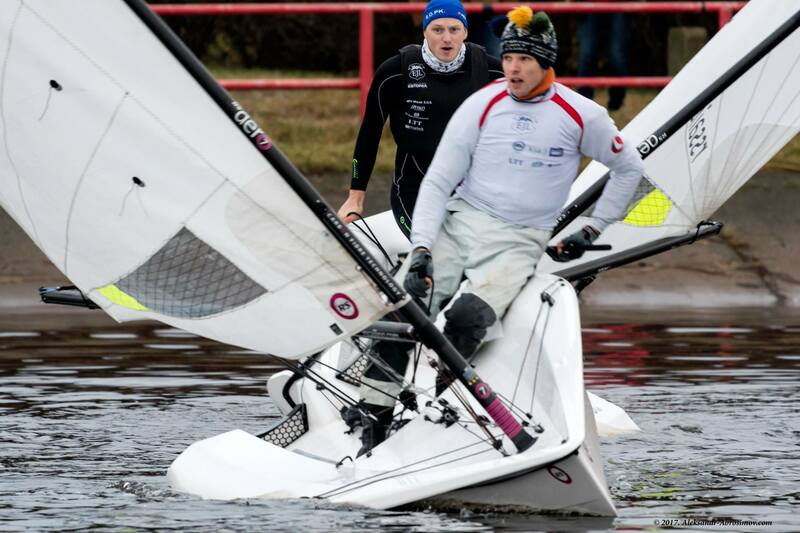 1.jaanuaril 2017 toimus aasta esimene purjetamisregatt Karl-Martin Rammo ja RS Purjetamiskeskuse eestvedamisel. Võistlus oli väga meeleolukas ja edukas. Tänu publiku suurele kaasaelamisele unustasid 16 tipp-purjetajat külmakraadid ja nautisid pärast sõite veemõnusid! Suurepärane algus uuele aastale. Everyone was a winner this day! 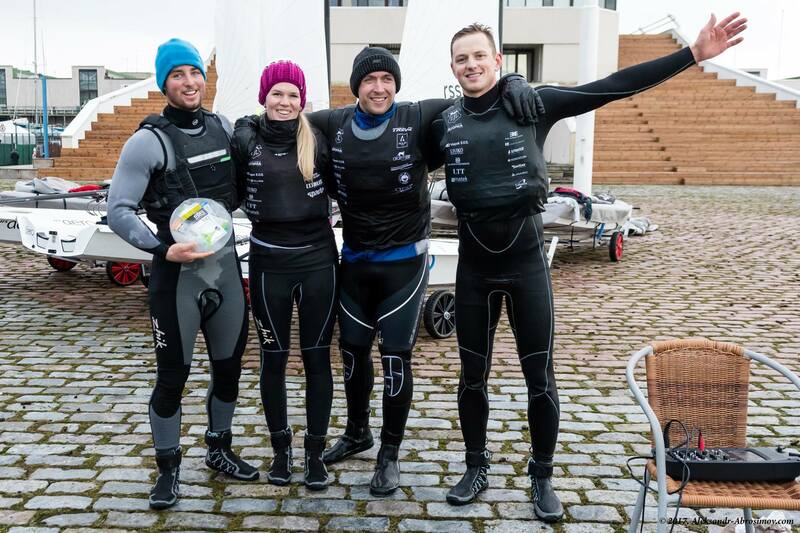 The Team of Alex Mills Barton, Anna Pohlak, Lauri Väinsalu and Karl-Martin Rammo completed the most distance in the time.